Legends is a truly unique marketing playground where the creative sky has no limit to building eye catching bold, memorable experiences. – A comprehensive blend of large impressions and diverse demographics featuring event traffic, pedestrians, mass transit, business commuters and tourism. – A larger-than-life creative platform that is on average five times the size of a standard 10×30 non-highway billboard. The impact is spectacular because of close proximity to the consumer. – A unique marketing blend of digital signage and large format super graphic static marketing opportunities including the largest signage available anywhere in the Phoenix Metropolitan area. 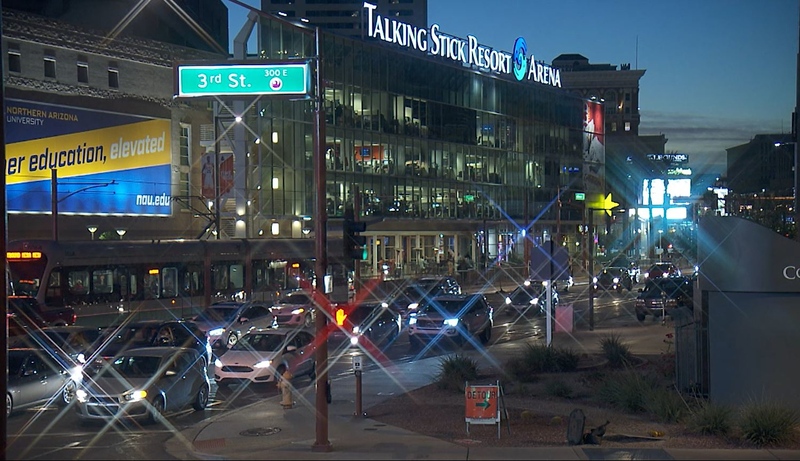 – High visibility opportunities that encompass landmark facilities such as Talking Stick Resort Arena, Chase Field and The Phoenix Convention Center.